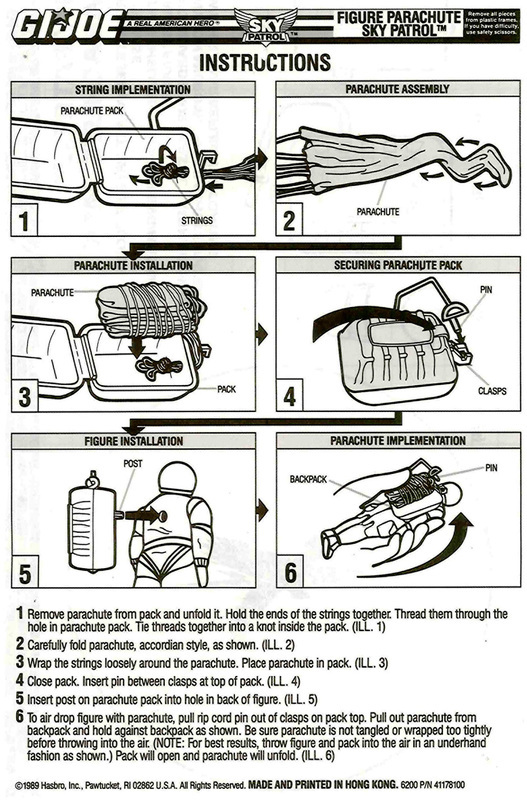 Carded Skydive courtesy of Brian Kossin. Check out his massive vintage G.I. Joe inventory at JoeParts.com! Except for the new head sculpts, all 6 Sky Patrol figures were repaints. Skydive's entire body is a repaint of 1987 Gyro-Viper. 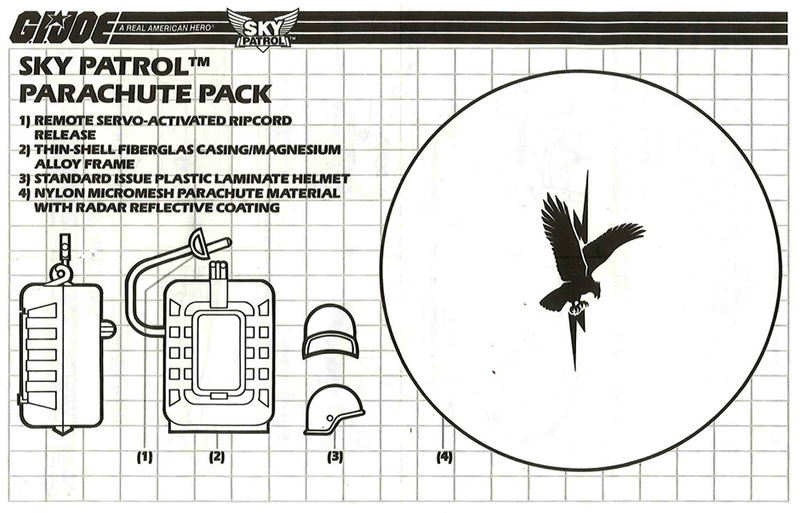 The Sky Patrol Joes came with a remake of the 1985 Mail Order Parachute Pack and a silver parachute with "radar reflective coating"